You know what’s awesome? Pork ribs. Smoking pork ribs on the BBQ requires patience to properly tenderize the meat. If you season them well and have give them time for smoking, you won’t need any sauce. None. The first step is to make the overnight rub. What follows is the rub recipe for a single slab. Duplicate as necessary, but I am making one slab here. 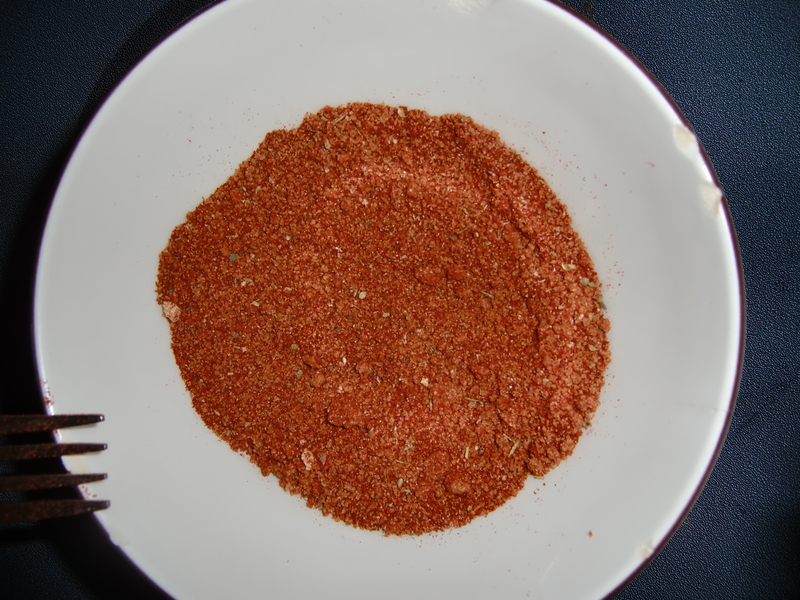 Rub: 1/4 cup paprika, 1/4 cup brown sugar, 2-3 tbsp Lawry’s seasoned salt. 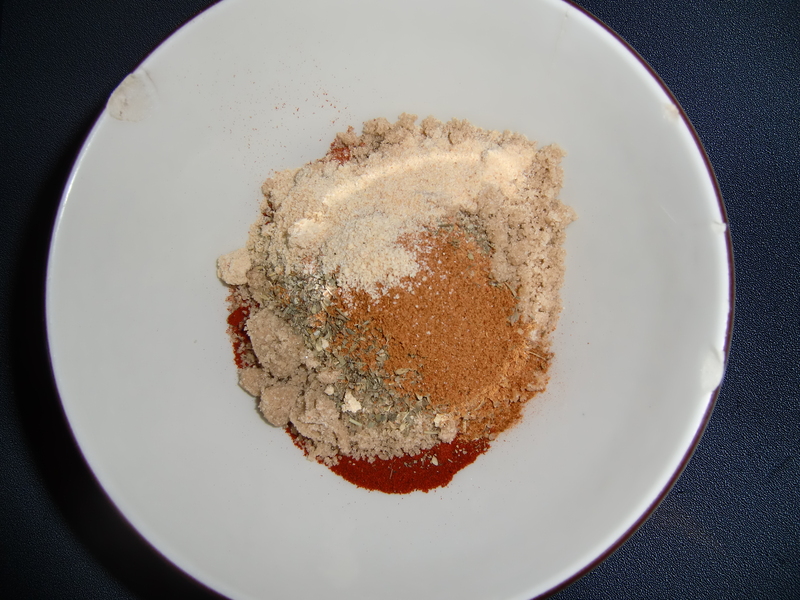 Add one tbsp each of Italian seasoning, cayenne pepper, onion powder, & garlic powder. The brown sugar will want to lump together as you whisk it together with a fork. 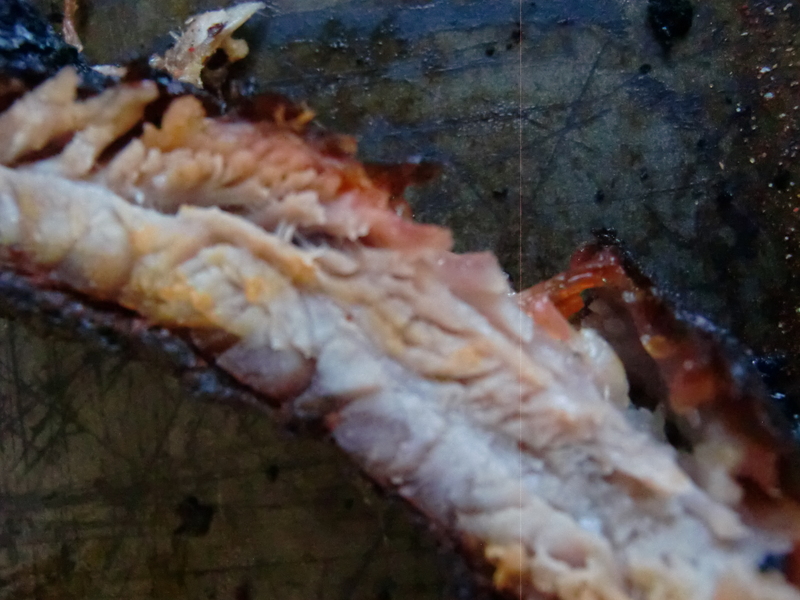 A key to smoking ribs is removing the membrane from the concave side of the ribs. This is important for two reasons. First, the membrane will act as a smoke barrier if not removed, which would diminish tenderness and flavor. Second, the smoked membrane would become dried out and flaky, like a thin film of plastic – really gross. This is a common rookie mistake. 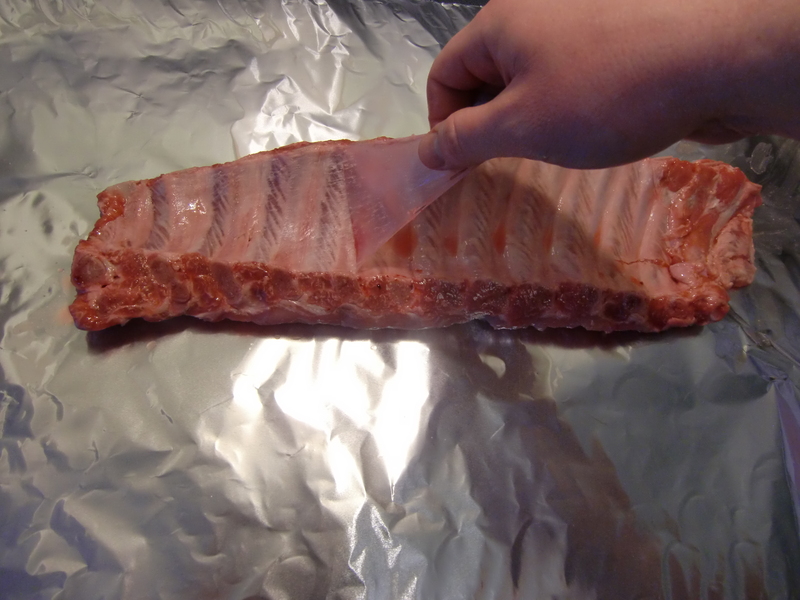 Get a hold of one end of the ribs and use a knife to get in under the membrane along the end rib, then tug the membrane straight off. It will take a little effort but should come off as one piece. Throw it out. 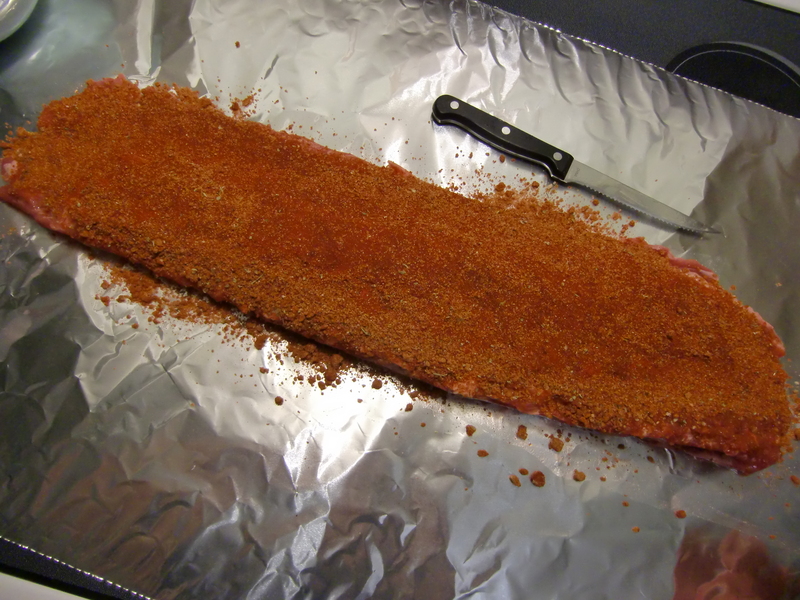 Put down some heavy duty foil and generously rub each side with the dry rub mixture. These are the baby back ribs, which are literally the ribs near the pig’s back – at the uppermost part of the pig near the spine. The next cut down the pig are the St. Louis ribs, which are the center part of the ribs. St. Louis ribs are typical competition ribs and have consistent amounts of meat down the slab, though the membrane only covers about 2/3 of the ribs. The spare ribs are the St. Louis ribs and the rest of the ribs down to the belly, literally the “spare” ribs after taking off the baby back ribs..
Wrap this up and leave it in the fridge over night. The next day, set up the grill for indirect cooking with plenty of soaked wood. Today I am using half hickory chunks and half cherry wood chips. After an hour and a half, add some more chips and turn the ribs. Too bad you can't smell these! All this grilling is exhausting. 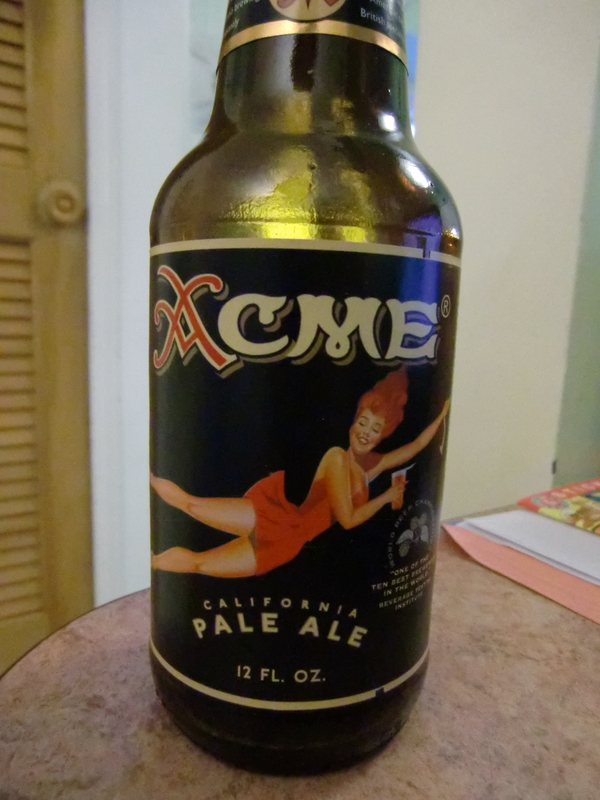 Time for a beer… or few. I found this variety pack at Friar Tuck’s in Crestwood. 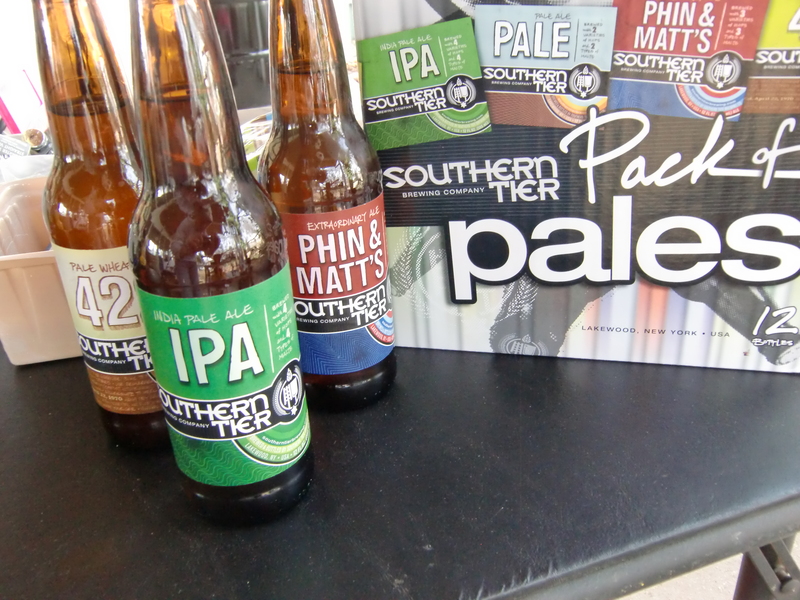 Southern Tier makes good beer with wide appeal. Look them up. 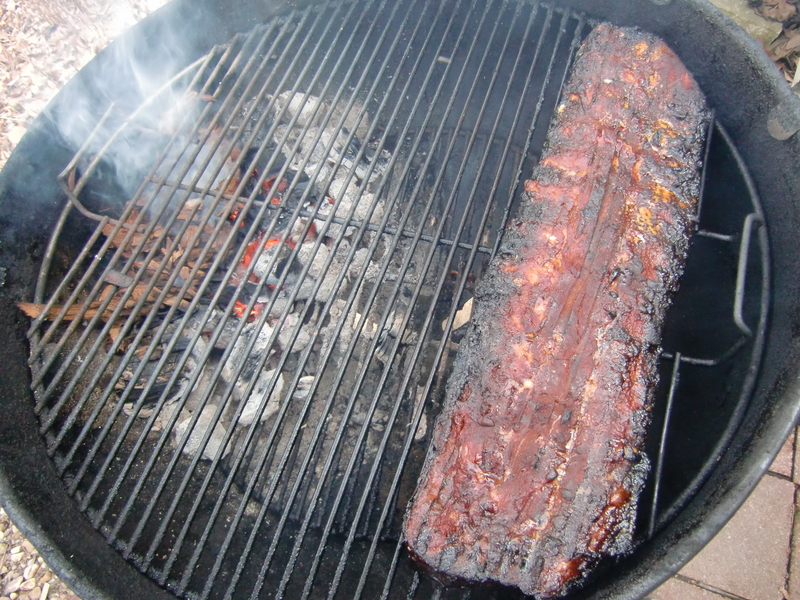 Finally, after about three hours on the grill, pull the ribs. I like to cut each rib flush against the bone so that each piece of rib is just rib on one side and meat on the other. The paprika gives it a nice smokey & spicy flavor. The brown sugar caramelizes the rub to the ribs and negates the need for any sauce, which is just packed with sugar and all the same spices anyway. 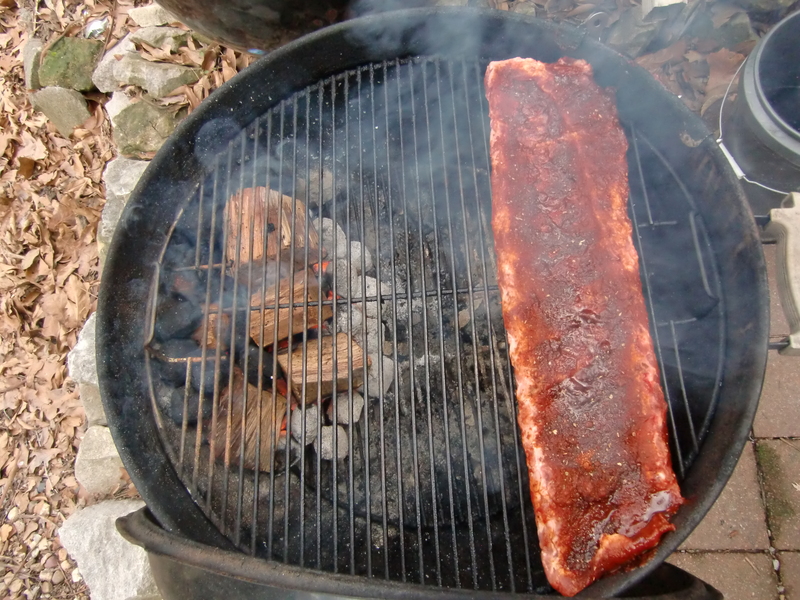 If you look closely, you can see the some smoke lines (pink) against the otherwise super-tender rib meat (gray). Time to eat some ribs and knock back a few more of the Southern Tier beers. 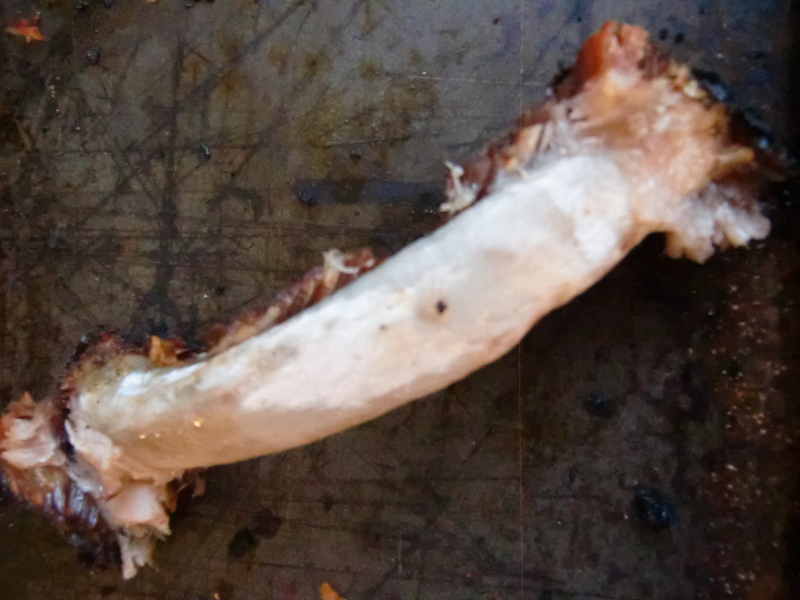 By the way, when you take a single small bite and the entire rib disintegrates into your mouth, it’s probably been cooked to proper tenderness. The bone should be completely clean after a bite. Who doesn't love hot acrobats? North Coast Brewing knows what they are doing. Good luck on the ribs; don’t let them get overdone.